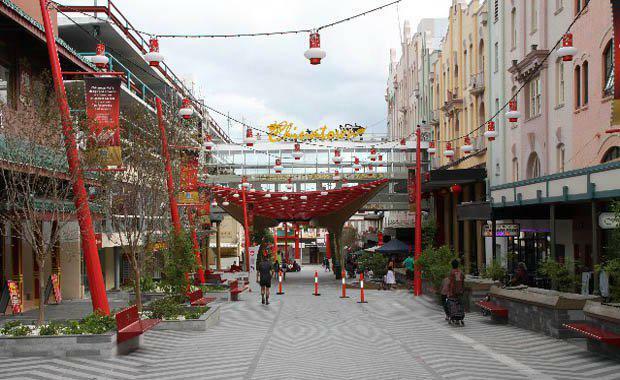 The largest land holding in Chinatown Mall, Fortitude Valley, presents an investment opportunity with income and development upside. ‘The Valley Heart Portfolio’, a 9,340s square metre landmark site in Brisbane’s Chinatown Mall is on the market. The portfolio consists of mixed use buildings across two land parcels on prominent street frontages of Brunswick and Duncan Street which could potentially be developed into a world class mixed-use project. l are exclusively marketing the premier mixed use opportunity which offers a collection of iconic properties with a blend of development potential and secure recurring income from quality tenants across net lettable area of 19,096 square metres. Tom Phipps, Director of Capital Markets and Investment Services at Colliers International said the offering is unique in its scale with the portfolio commanding the largest land holding on Brisbane's Chinatown Mall, 1.2 kilometres from the Brisbane CBD. “The size of the parcels, along with their frontages to both the Chinatown and Brunswick Street Malls offer a never to be repeated opportunity to create a world class mixed use development in the heart of Fortitude Valley. “The Valley Heart Portfolio offers the flexibility to hold the properties as an investment with future development upside or immediately commence the development process while enjoying significant holding income,” said Mr Phipps. Mr Phipps said the size of the parcel means The Valley Heart Portfolio is zoned for development up to 30 storeys. Nettletontribe has designed a code compliant scheme which provides for a minimum 840 apartments. “The scheme falls well within planning parameters and can be submitted for development approval without advertising or public comment. Nettletontribe have also demonstrated that the highly profitable public car park can be incorporated into the development of the site. “A high-rise development on the Chinatown land parcel would enjoy spectacular views of the Brisbane CBD skyline, the Brisbane River and the surrounding suburbs of Newstead and New Farm," Mr Phipps said. Jason Lynch, Director of Capital Markets and Investment Services at Colliers International said the portfolio’s secure income stream comes from the existing quality office, hotel and retail tenant covenants in addition to a 464 bay public car park which delivers strong trading figures. “This provides the flexibility for the buyer to hold the property as an investment grade asset with future development upside or alternatively provides income while development approvals are lodged. “The Brisbane City Council is supportive of the redevelopment for this site and have already granted a development approval for the adaptive reuse of part of the TCB parcel as a four star hotel. Terms have been agreed with an international hotel brand to take up occupancy within the portfolio. The Valley Heart Portfolio consists of 315 Brunswick Street (TCB) which is located on a 4,510sq m site and comprises 14,058sq m lettable area, with 31 Duncan and 143-153 Wickham Street (Chinatown) being situated on a 4,830sq m site featuring 5,038sq m of net lettable area. The portfolio is being offered for sale by Expressions of Interest closing at 4.00pm (AEST) time on Wednesday 12th November 2014.